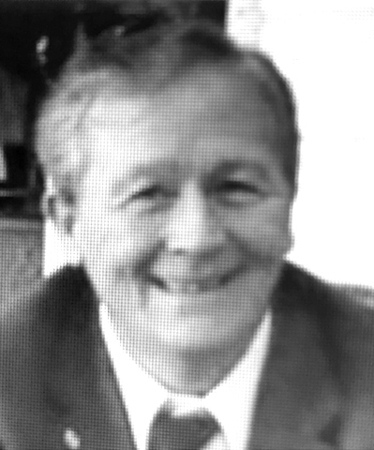 Thomas G. Johnson, 75, of Plainville, passed away peacefully on Saturday, Aug. 25, 2018. He was born on Jan. 12, 1943, in Bristol, the son of the late George and Ethel (Moffitt) Johnson. After high school, Thomas began work as a printer, working for Pratt & Whitney Machine Tool. He then began working for the City of Bristol as a custodian at Greene-Hills Elementary School and Chippens Hill Middle School. During his retirement, Thomas enjoyed attending events for his grandchildren and daily visits to McDonald’s in Plainville, where he would play bingo and catch up with friends. Thomas is survived by his son and daughter-in-law, Erik and Danielle Johnson of Bristol, and their two children, Allison and Nathan, his sisters and brothers-in-law, Sally and Doug Shea of Blythewood, S.C., and Sharon and Frank Zygmunt of Avon, his niece, Kristyn Zygmunt, his nephews, Ryan Zygmunt and Mark Shea and ex-wife, Nellie Johnson with whom he remained best friends. Calling hours will be held on Friday, Aug. 31, 2018, directly at Asbury United Methodist Church, 90 Church Ave., Forestville/Bristol, Conn., at 10 a.m. with the funeral service commencing at 10:30 a.m., followed by a procession to Forestville Cemetery. Posted in New Britain Herald, on Tuesday, 28 August 2018 19:19. Updated: Tuesday, 28 August 2018 19:22.